Putting it all together to create a comprehensive routine. I’ve developed a final warm-up routine that consists of eight lines, each progressing through the five steps. You can download it here. 1. Take 10-15 minutes to complete. (This exercise takes approximately 11 minutes.) Any longer and I probably wouldn’t do it every day. 2. Warm up my muscles and continue to build my technique. 3. Be flexible so I could adapt and change it over time as needed, based on the repertoire I am preparing. A) 8 on a Hand “Cloned”: This classic exercise gives the hands and wrists a chance to move and gets the blood flowing to your extremities. Make sure to start at a slow tempo and use a big range of motion to get the muscles loose. B) Singles (with Metronome Speed Up): Now that the blood is flowing, it’s time to do some singles. If you follow the YouTube video, the speed is increased by 2 BPM every time the exercise is repeated. This allows you to start slow and increase the speed gradually throughout the routine. C) Paradiddles: This is the first time I start to use my arms as I do a wrist lift to execute the accents. Be careful with the stickings. The exercise starts with triple paradiddles. D) Flams: I go back to 8 on a hand and add flams at the beginning. This also introduces a down stroke on the last eighth note of each measure. E) More Flams: Now that you are halfway through the warm-up, it’s time to work on grace notes with the 4 flam rudiments that are in the Wilcoxin Rudimental books. F) Rolls: I like to work on double and triple/multiple bounce rolls during my warm-ups so I can work on my fine motor skills. I generally do these exercises for 30 seconds and then switch hands. Make sure that once you start you don’t change the tempo. G) Long Rolls: While long rolls are not difficult, it is important to remember to relax. Once you have completed this routine, make sure you shake out your wrists and do some light stretching. Good luck and keep those warm-ups going! Send your own snare drum warm-up routines to me at percussion@yamaha.com. 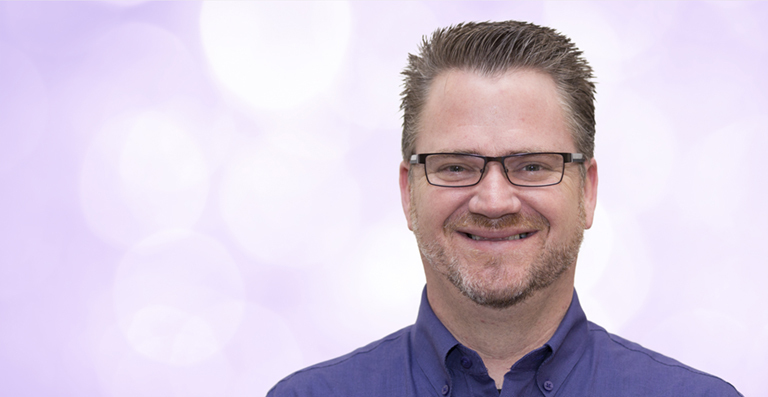 Dr. Dave Gerhart, Product Manager for Yamaha Percussion and advocate for all things percussion, is a nationally recognized performer, composer and educator. Dr. Gerhart holds a D.M.A. from the University of Southern California, an M.M. in Percussion Performance and Instrumental Conducting, and a B.M. in Music Education from California State University, Long Beach. Before joining Yamaha, Dr. Gerhart was a Yamaha Performing Artist. He now travels the U.S. talking percussion and sharing his passion for music education. In his free time, he teaches at the CSULB Steel Drum Orchestra and has published works for percussion and steel drum ensembles.